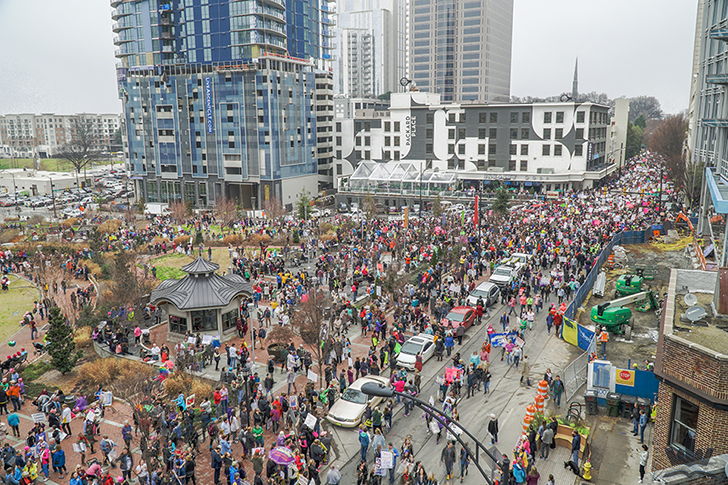 This morning the city of Charlotte witnessed its largest march for women’s rights in the history of our city. 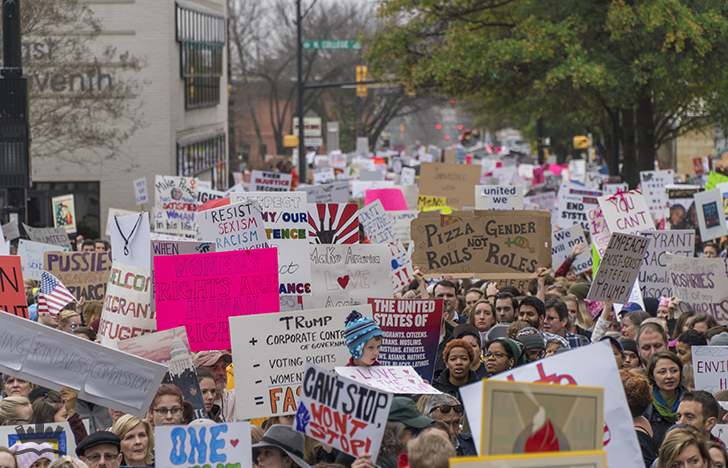 This weekend’s march, called the Women’s March on Charlotte, joined hundreds of thousands of others marching in cities across America, with the largest march being held in Washington DC (current estimates are around 500,000 in DC alone). 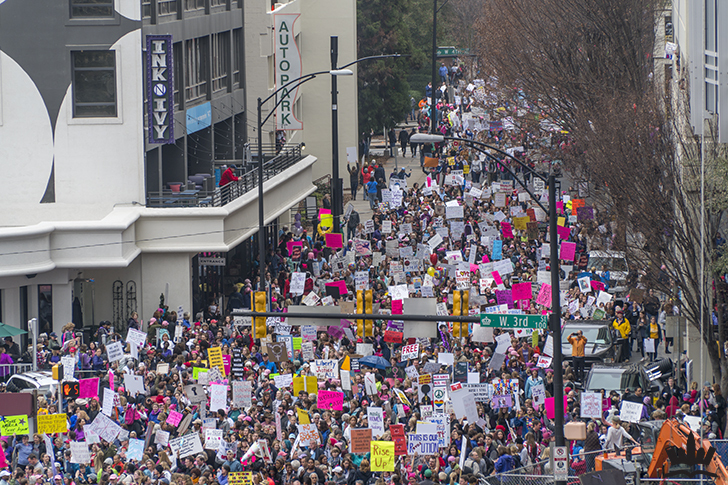 According to the CMPD, the Women’s March drew at least 10,000 people onto the streets of Uptown Charlotte this morning. 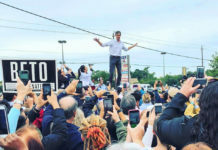 It wasn’t just women who marched this morning – both men and women of all ages and races joined in. The march included a wide variety of messages and agendas. 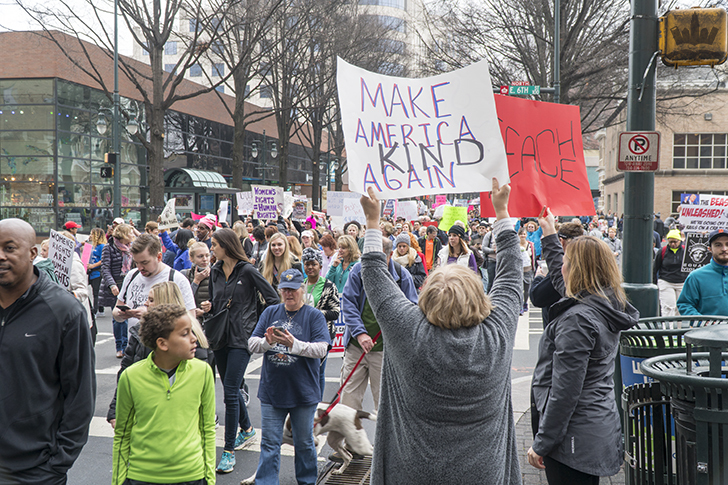 According to their website, “The Women’s March on Charlotte is being held in alignment with the Women’s March on Washington, on January 21, 2017. 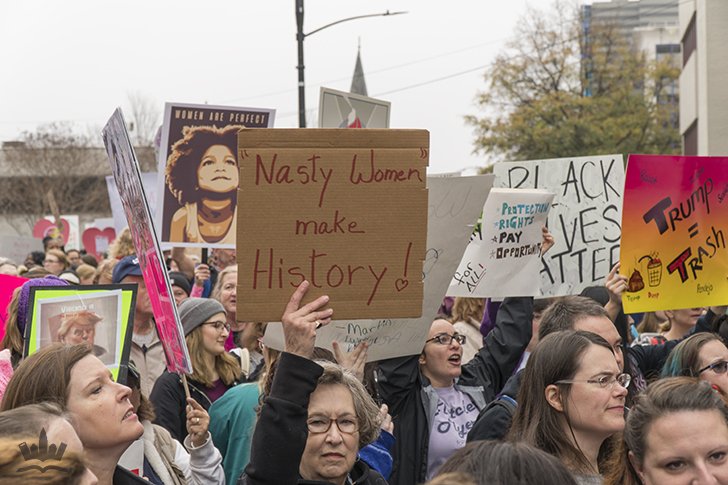 Charlotte is only one of multiple cities across the nation holding local Women’s Marches, sending a clear message to our government that women’s rights are human rights. The two-mile march will start in First Ward, and end in Romare Bearden Park. 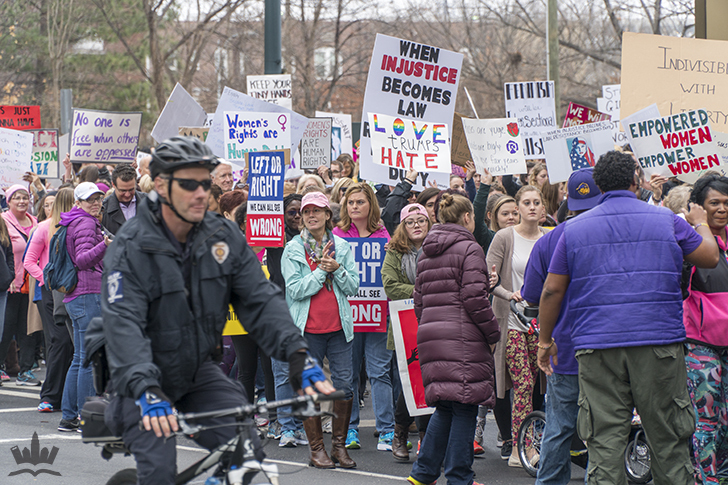 The march remained peaceful throughout the morning, with police stationed at every intersection along the route. 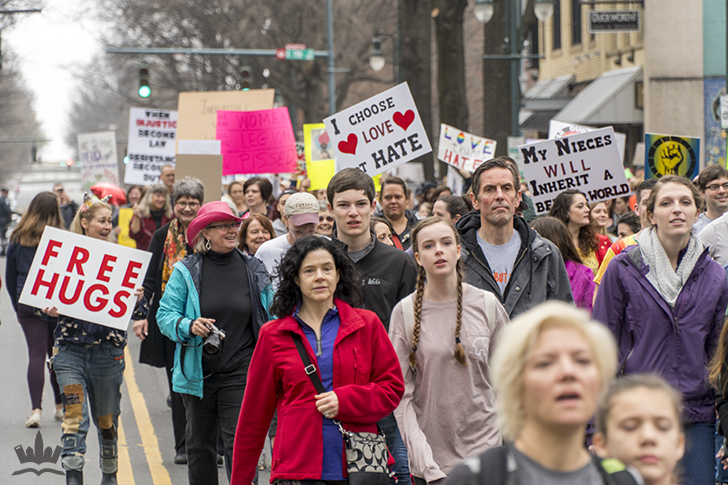 Were you a part of the march this morning?